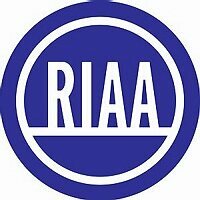 The Recording Industry Association of America (RIAA) website was hit by a distributed denial-of-service (DDoS) attack at the hands of the hacktivist group Anonymous. The DDoS attack was launched to protest the RIAA’s demand for $75 trillion in damages from the peer-to-peer music-sharing network LimeWire, the security firm Sophos reported. The attack occurred last Friday (March 25) at 7 p.m. EDT and brought down the RIAA site for about five hours. The site is back online now. According to Computerworld, Judge Kimba Wood of the U.S. District Court for the Southern District of New York rejected the RIAA’s lawsuit against LimeWire earlier this month, calling it “absurd” that the RIAA asked for up to $150,000 for 11,000 copyrighted songs made available for free on LimeWire. (Last October, Judge Wood ordered LimeWire to be taken down due to copyright infringement). The $75 trillion figure would be “more money than the entire music industry has made since Edison’s invention of the phonograph in 1877,” Judge Wood said in her ruling.